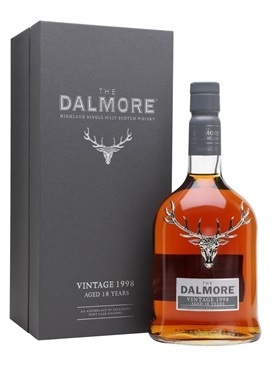 Part of The Dalmore Port Vintages collection, this 18 Year Old Highland Single Malt was released in mid-2017 as part of a trio of vintage releases that were finished in specially selected Port casks. Beginning its life in American white oak ex-bourbon casks before being finished for two years in aged Tawny port pipes from Graham's vineyard in Douro, Portugal. The casks held the finest port for 20 years before imparting full and rich flavours to this 1998 vintage.. Please allow three working days.